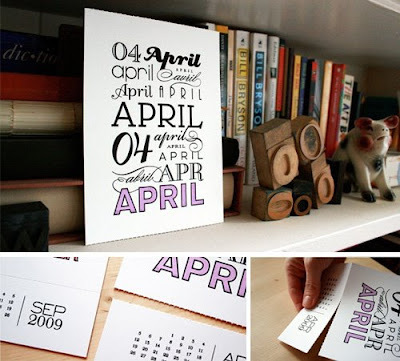 This creative little 5" x 9.5" calendar is printed entirely by hand on two GOCCO printers. The best part? The bottom and top edges are perforated so that you can separate the middle section and use it for wall art, post cards, or other home decor! Available for pre-order through their Etsy shop here. 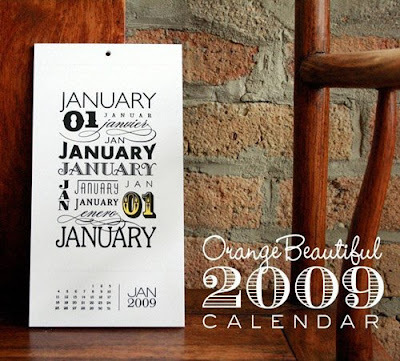 Wow, what a great idea.... it's a calendar first & then will become a home accent later on. thanks for the post!... I wanted to let everyone know that the calendars are still available for pre-order, right here.